Over the last decade, the number of lives lost or changed by a texting while driving accident is staggering. At least 1.6 million auto accidents are caused each year by drivers using cell phones and texting. 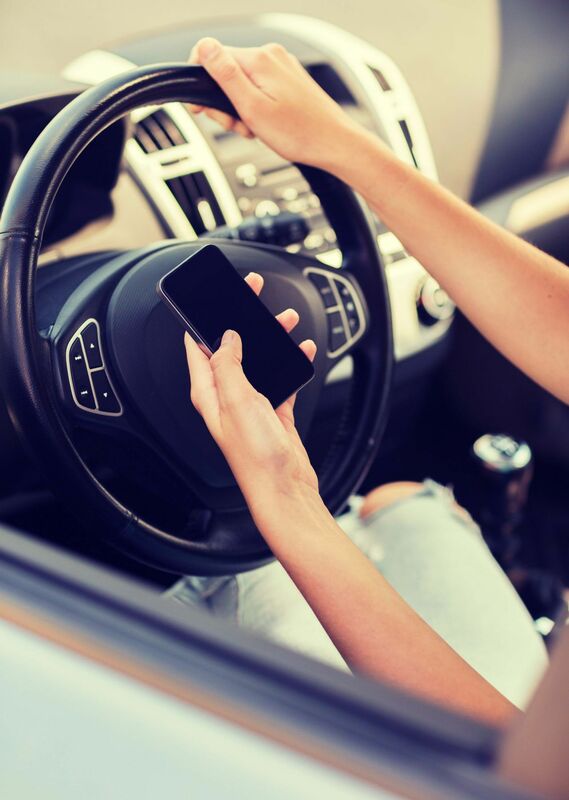 According to National Safety Council (NSC), 1.4 million crashes each year resulted from the use of cell phones while driving and a minimum of 200,000 crashes each year are caused by drivers who are texting. In 2008, Louisville resident Wil Craig became a victim of a texting while driving crash. He was a passenger in his then girlfriend’s car. Wil said she was speeding and texted ‘Where R’ when they hit a tree at 120 mph. Wil was in a coma for eight weeks after suffering from traumatic brain injury, a collapsed lung and broken ribs. Here's another incident. Alexander Heit, a University of Northern Colorado student, died after responding to a friend’s text message. Heit was not able to finish and send his reply because he lost control of his car and ran off the road. Are voice-to-text apps safer then typing a text message? Texting while driving means one thing; a single text can be deadly. It's been said before, and you've heard it a 100 times. Texting while driving is never safe. Whether you text manually or use a voice-to-text app while driving, your safety is at risk. In a recent study made by the Texas Transportation Institute, it was discovered that driver response times were slower regardless of the texting method. Voice-activated texting apps are not any safer than typing in a text message. These apps still take the driver’s attention from the road and impair their concentration and judgment. In 2010, Kentucky banned drivers of all ages from texting while driving. The law intended to reduce distracted driving accidents and make Kentucky roads safer. Other states have followed suite, Florida being one of them. The Florida senate sent the proposed ban on texting while driving law to the House of Representatives. Florida was among the five states which did not have anti-texting laws. Likewise, Louisiana also enforced a texting ban by passing Senate Bill 147, which made it illegal to use Facebook, Twitter or any other social networking sites while driving. Anything that takes your attention away from driving is a distraction. As a Kentucky Accident Attorney, I strongly advise all drivers to stop texting and driving. Parents should be role models to their children. Never text while driving and teach your children about the dangers of texting while driving. Teenagers should also listen to their parents and be responsible. Don’t let a simple text ruin your future.